When the tiny AIM listed company that controls this project just confirmed a $20M USD, non-dilutive financing deal that brings on board an experienced local partner that will see it through to production, it was enough for us to really sit up and take notice. The company is set to begin production of high grade gold in H1 of 2016 – less than nine months away now. This AIM listed company’s project is situated in the Democratic Republic of Congo (DRC), and the company is very small. So this is a high risk stock. Tenure security, as well as graft and corruption can play a part in hindering Congolese projects from advancing, and contribute to the political risk. The resource this company is set to mine has been upgraded through extensive drilling – and in the coming months we could see the raw resource figures rise yet again as it finalises its mining plans. No less than two scoping studies have been conducted, showing a low capex of just $20M USD. This company can dig up fine gold in ores that can be processed in a low cost gravity extraction process. Then, this AIM listed company’s gold can be flown to refineries in helicopters or planes and perfected for immediate international sale, or sold as physical gold to the refinery. This is a high-grade gold project that can remain robust even in a low gold price environment. The project has a current total mineral resource of 678,000 oz. gold from 14.58 million tonnes @ 1.45 g/t gold, at a cutoff grade of 0.5 g/t to produce approximately 25,000 oz. a year... with a current mine life in excess of nine years. Whilst there is an element of political risk owing to the project’s location in the Democratic Republic of Congo (DRC), the project sits at the very southern tip of the country, in a region considered more stable than other parts of the country. 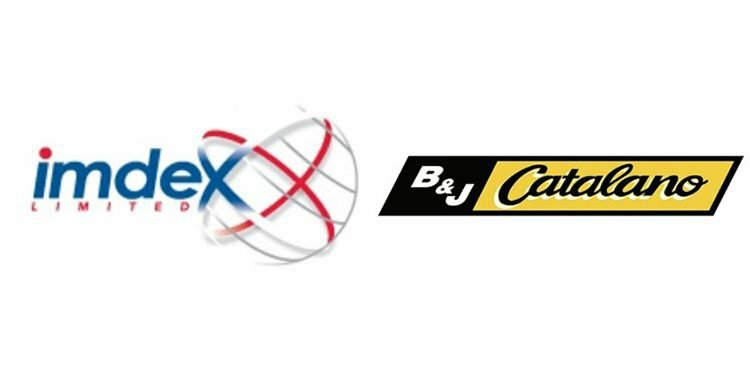 In the coming months of 2015, this company, together with its new partner, will drive the project through a definitive feasibility study and break ground on site to begin construction of the open pits and processing plant. And then, H1 of 2016 will roll around fast – and this company will hit the start button on Africa’s newest gold producing venture. 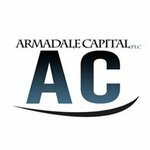 Armadale Capital plc (AIM:ACP) is a mining and investment firm based in London with a listing on the Alternative Investment Market (AIM) in the UK. ACP is focussed on investing in near-term, high impact African resource plays, and its central focus is the Mpokoto Gold Project , located in the southern Katanga Region of the Democratic Republic of Congo (DRC), of which it owns an 80% interest. 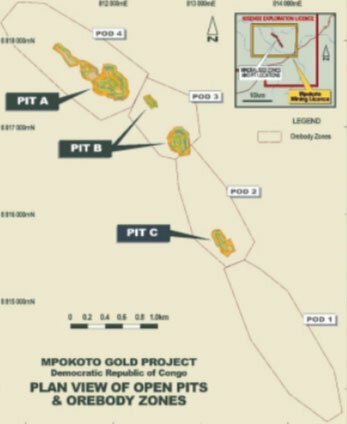 ACP is targeting commercial gold production at Mpokoto by H1 of 2016 – a very quick time frame – and it’s worked the project up through two scoping studies that show highly favourable economics and quick return on investment. With an agreement in place to fund the project, it’s all systems go for ACP. In this article, The Next Small Cap is going to run you through all aspects of the project, from its near term profit potential to its exploration potential. As you can see in the picture above, ACP’s Mpokoto Gold Project is located in the very south of the DRC, close to the borders of Angola and Zambia. Mpokoto is located within the mineral rich Katanga Province of the DRC where giant international miners like Glencore have huge mining projects on the boil. The southern part of the DRC is a region considered more stable than other parts of the country – so whilst not completely eliminating the in country political risk, it somewhat mitigates the overall country risk being situated here. Mpokoto itself is located within the Kinsenge Exploration License , which was being developed by the company Kinsenge Limited. ACP acquired Kisenge in 2014 and its 80% interest in the Mpokoto Project, gaining wider exploration rights also. The plan for ACP is to bring Mpokoto into production as quickly as possible, aiming for H1 of 2016 to see the first gold produced. Then, when cash is flowing, the company will look to explore the rest of the vast exploration license at Kisenge and hopefully find more gold to keep Mpokoto in production for much longer. To make all of this happen, ACP has just confirmed funding of $20M USD – or around £12.7M – to pay for the construction of a processing plant and fund the project through all remaining feasibility studies to the day production begins. Come H1 of 2016, ACP aims to hit the start button and produce high grade gold for immediate sale to the international market. Detailed mining and production plans are all well and good, but if there is no funds to make the project come to life, then those plans will remain just that. ACP has just signed an instrumental deal that will secure the company $20M USD to develop, construct and operate the Mpokoto Project through a partnership with Africa Mining Contracting Services (A-MCS). A-MCS will introduce the cash by way of a secured loan for a period of 36 months. A-MCS will be appointed as mining contractor, and assist with the construction of the infrastructure as well as the management services to get ACP’s project into construction. Key costs are US$8.25 million for the processing plant, US$3.45 million for associated infrastructure and US$8.5 million for infrastructure. The final agreed amount of funding will be subject to the agreed results of the DFS. Did you see our Next Tech Stock article on Ziptel (ASX:ZIP) $1.7 Trillion Telco Market: ASX Tech Company Weeks Away From Global App Launch ? The reason the timeline for all of this is so fast is because ACP stepped in and acquired Mpokoto when most of the heavy lifting had been done. ACP came in, took a look at it’s the near term gold production potential, and immediately set about developing it – conducting extra drilling to expand the resource size and prove up the economics. ACP has developed a JORC indicated and inferred resource at Mpokoto estimated at 678,000oz Au from 14.58 million tonnes @ 1.45g/t gold at a cut-off grade of 0.5g/t – plus an exploration target of between 11.4 and 17 million tonnes. An expanded scoping study completed in October of 2014 summed up the project as a low capex, high grade gold project that could be brought into imminent production. It indicated producing robust returns even if the gold price drops to US$1,000/oz. or below. The extended scoping study showed the overall mine life of Mpokoto to be nine years – an 80% increase on previous estimates. The post-tax NPV is set at US$55.3M, based on a discount rate of 8% and a gold price of US$1,250/oz. – an increase of 68% from the previous study in April 2014. Average operating costs over the life of mine remain under $650/oz., despite the treatment of higher cost un-weathered ore. Plus, the start-up capital cost of $20.40M USD is relatively low for a project of this size. ACP anticipates it can pay back the $20M USD capex within 20 months of production, and after that the revenue essentially stays with ACP – and it can fund further exploration within the project. 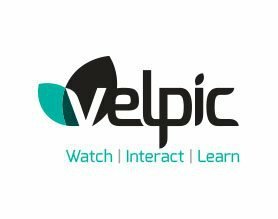 So those are the basics of ACP and Mpokoto – now let’s dive in deeper – starting with the big question, why the Democratic Republic of Congo (DRC)? The DRC is a country the size of Western Europe that sits at the very heart of the African continent. The DRC is famous for its huge mineral wealth of copper, diamonds, coal and cobalt – even oil and gas. But the DRC is also infamous for its chequered past – emerging from Belgian colonialism in the 1960s to a long period of civil unrest that has significantly held back the country’s development. But the past decade has seen relative political stability return to the DRC, backed by a UN peacekeeping mission in the north and east of the nation. With political stability comes a better economy, and the DRC’s mining industry is growing larger and more profitable every year. It’s seen as a key driver of the nation’s recovery and a guarantor of its future success. The total untapped mineral wealth of the DRC is estimated at US$24 trillion – something ACP is getting ready to tackle a portion of! The DRC’s recent stability, and its huge mineral potential, are attracting large international investment in its mining sector, particularly from China. China currently takes 50% of the DRC’s raw mineral exports. The most prominent international player in the DRC is Glencore Xstrata, the Anglo-Swiss mining multinational with a market cap north of $39BN. Glencore entered the DRC in 2008 and has invested over $5BN in its mining industry to create new mineral wealth in a range of projects. These include mines right across the so-called “ African Copper Belt ” in the southern Katanga Province . This region is the DRC’s mining hub and where most of the nation’s mineral wealth is concentrated. Katanga Province is the same region that ACP’s Mpokoto Gold Project is located in – a mining area that hosts scores of international projects. Mpokoto is located right down on the south west corner of Katanga province on the border with Zambia and Angola, providing good access to infrastructure. Though still developing, Katanga Province has seen heavy investment in recent years to upgrade its infrastructure. Its long history of mining has created a workforce readily able to support international projects too. That said, obviously the DRC is no picnic. It’s a developing nation with many challenges, but ACP is well prepared to handle them. To help bring its Mpokoto Gold Project online according to its quick timetable – first production expected in 2016 – ACP has assembled a team of experienced local hands who know how to get things done in the DRC. Did you see our Next Small Cap article on Rumble Resources (ASX:RTR) So You Think Sirius Is Big? 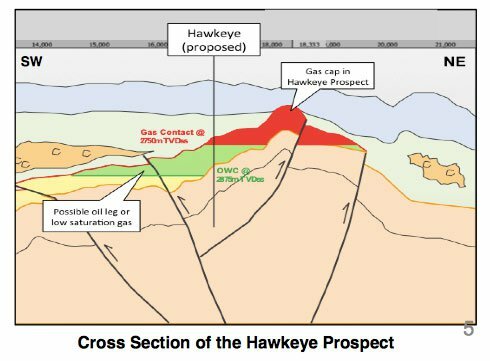 $5M ASX Explorer Drilling in Weeks ? Right at the top , ACP has strong management with Chairman Peter Marks, steering the ship using over 20 years’ experience in corporate finance and capital markets – crucial to the success of ACP’s African gold play. By his side is Director Justin Lewis , who’s a vastly experienced senior manager and entrepreneur. Lewis led the development and advised numerous mining companies in Africa. And on the ground in the DRC, there’s Alain Van Landuyt , a Belgian national who’s lived in Africa and worked in its resources industry for many years. He’s a qualified engineer and geologist at the Kisenge Project, heavily involved in developing the Mpokoto Gold Project. He was involved in the discovery of Mpokoto’s gold deposit and will take a lead role in developing the project, using his long running relationship with the Congolese Mines Department. And in a similar vein, ACP has enlisted the expertise of Gaiten-David Kakudji Kakudji, the Director of Mines d’Or de Kisenge sarl (MDDK), which holds the rights to mineral exploration licenses within the Katanga Province and is 80% owned by the Kisenge Limited, of which ACP has acquired 100% . Kakudji is from a prominent DRC family, with a long track record of working in the DRC – so having him closely involved in the Mpokoto Gold Project helps open doors and smooth any problems. Post-tax NPV of US$55.3M , based on a discount rate of 8% and a gold price of US$1,250/oz. This is a high grade gold project that can remain robust even in a low gold price environment – and $20M USD to get it started is relatively cheap for a nine year mine producing 25,000 ounces a year for costs under $650/oz. Now that financing has been secured, the path ahead for ACP from here is simple – push through a Definitive Feasibility Study and start construction – an event ACP is aiming to kick off by the end of this year to get production in H1 of 2016. A big reason Mkopoto’s economics are so good is because of the geological nature of its ores – the gold is amenable to gravity treatment, meaning it sits as very fine particles in the ore body so it’s easy to separate. For an estimated $10M USD, ACP plans to build a modular processing plant using off the shelf, easy to transport equipment based around the gravity process. Basically, it works like a spin dryer – ore goes in and is spun at high rpm until the fine gold separates from the chunky rocks. It’s a low cost, low energy and high recovery method that gives ACP a lot of cost savings while also reducing production time. ACP is conducting metallurgical test work to improve its recovery rate of 81% and increase the efficiency of its operation – advancing the economics even further. And when it’s time to sell the product, ACP can simply fly the stuff out on a plane or helicopter. Katanga Province has excellent roads and railways, but with a gold project like this, the key infrastructure that counts is the processing plant, and for $10M USD, ACP can sort that out quick smart. Further down the line, ACP is exploring options for linking up with a gold refinery, possibly in a nearby African country like South Africa, which will take the raw gold product and smooth it out to the highest grade possible for sale on the international gold market. Also, many refineries simply want to buy physical gold and pay a premium for it – an even simpler sales option for ACP to explore. ACP’s focus is on getting the Mpokoto Gold Project into production – but its exploration target of between 11.4 and 17 million tonnes is a very compelling development for the future of the project. There is scope here for ACP to raise its minable resources to over a million ounces of gold by continuing to drill and explore the vast and highly prospective Kinsenge Exploration License surrounding its mine and at Mpokoto itself. If extra resources can be found and then mined, the project’s life will be extended far beyond the nine years currently expected. The blue sky is that with a million ounces, ACP could ramp up its operations and produce about 50,000 ounces a year, and keep this low cost, high-grade mine going for much longer at a much higher rate of production. The company sees this as its future, and will tackle the exploration later down the line when the Mpokoto Gold Project is in production and its gold products are providing regular cash flow. In the coming months, ACP is putting a Pre-Feasibility Study in motion at the Mpokoto Gold Project that will finalise almost every aspect of its layout. This will happen ahead of a DFS and more drilling to work up to a potential JORC upgrade. With the $20M USD capex funding agreement in place, ACP will advance the construction of its $10M modular processing facility in the second half of 2015 and use the rest of the money to get the mines online. With a JORC indicated and inferred resource of 678,000oz Au from 14.58 million tonnes, mine life of nine years and a post-tax NPV of US$55.3M, ACP’s Mpokoto Gold Project has the sort of economics that can make money even with a low gold price. For a low capex of just $20M USD, paid back within 20 months of production – ACP could be in production by H1 of 2016, a very short lead in for a project of this magnitude. At The Next Small Cap we’re backing ACP as long-term investors, looking at the short-term benefits of imminent production in 2016, and the long-term potential of the gold rich ground at and surrounding Mpokoto for further exploration.